Time goes fast! It looks like only yesterday when we discussed the trends for 2015 and now it’s only two months till the next new year. Last year we took a look at the content marketing trends you could expect in 2015 and now we continue to look forward with the new trends for 2016. And because no future exists without history, we’ll look back at the content marketing trends we predicted in 2015 and what they have become. In the beginning of 2015 we predicted that native advertising would grow massively. And well, that’s exactly what happened! People are less sensitive for companies that just try to send their promotion messages without any effort to entertain them. We don’t want to see advertising messages but we want to see real people and companies with a real message. 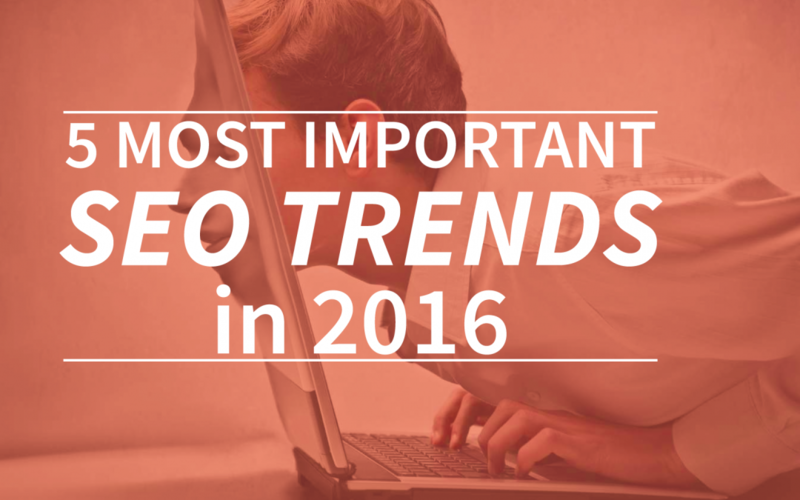 This is definitely one of the biggest content marketing and trends you’ll see that continues to grow even more in 2016! So if you want to join this revolution, be quick and leave everything you know about advertising behind! 2. Not just visual, but virtual reality! The popularity of audio-visual content already was a big trend in 2015, but it will continue to grow even more with the virtual reality coming closer and closer to our daily life. A few years ago we couldn’t think about apps that make us really feel like we’re in a roller coaster or YouTube video’s that you can spin 360°. This technological trend makes that also in content marketing, visual content becomes more and more important. Why would you just read a text about an amazing holiday, if you could also get a taste of the atmosphere with your very own virtual reality holiday tryout?! Last year we mentioned that quality would become more and more important and also next year this trend will continue to grow. For example, while doing SEO you need to give more and more attention to the value, relevance and reliability of your content because this ranking factor has gained importance over the last year. People have a lot of sources things to get their information from and it’s important that you distinguish yourself from your competitors. There’s no better way to distinguish yourself than to offer more interesting, relevant, valuable and reliable content! We didn’t mention this trend last year, although it was already visible, but this year mobile optimization definitely has a place on your most important trends list. With the mobile usability update from Google a lot has changed. Now that mobile usability has become a ranking factor, people understand the importance of accessibility on mobile phones, iPads and other portable systems. As a response to this big mobile revolution, the importance of mobile optimization will continue to grow in 2016! In today’s society, social media has almost become a bigger news source than the original news platforms. Although you shouldn’t believe everything you read on social media, it’s definitely something you can’t ignore. If something big happens, the first place you’ll be able to find out is through social media. This is exactly why being present on social media is and will become even more important in 2016. Don’t ignore this trend and make sure that your visible online, social media can be the perfect platform to spread your brand out over the whole world! This is the first part of our ‘content marketing trends in 2016’-list, of course we’ll get back to you to expand this list even more! Do you have some thoughts about our list or about other trend you expect in 2016? Please let us know! If you want to make sure that you use all these SEO trends the right way, you should start a free trial account in our webtexttool or read whitepapers about seo today!